Everything happening with Nothing going on. In the contrived farce THE WEEK OF, Adam Sandler is Kenny Lustig, a middle class father struggling to cope with the details and cost of hosting his daughter’s wedding, and Chris Rock is Dr. Kirby Cordice, the rich father of the groom, whose help Kenny declines. Longtime collaborators Sandler and director Robert Smigel seem like they figured out the plot on a napkin when they were hella drunk, then realized too late it wouldn’t make a good film. By then they were sober. On the week of his daughter’s wedding, Kenny is struggling against the tide of his extended family all camping in his cramped house, other guests arriving, hotel accommodation, a venue for the wedding, an incompetent hotel manager, the cake, the food, the spiraling costs – you know, all those things that any normal person would have taken care of way before the week of. However, the level of interest that all these adversities cause in the viewer is almost nil, as we are bombarded with a smattering of half-baked characters that Kenny seems to treat as if they’re simply inconsequential denizens of a lackluster fiction, which they are. 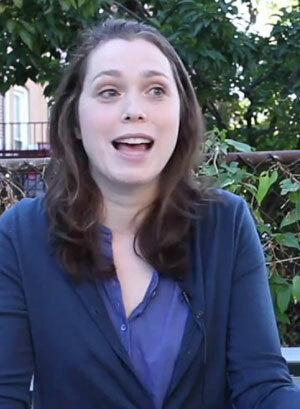 Rachel Dratch is Kenny’s wife, Steve Buscemi plays a weird friend (again), relative newcomers Allison Strong and Roland Buck III are the bridge and groom. Nasser Faris is an old Indian hotelier, who is portrayed as dumb as any giggling Indian can possibly be portrayed in white Westernized society. Jim Barone is Seymour, an old legless war veteran for gross-out humor, involved in the dumbest-staged gag in the movie where Chris Rock feels up Seymour’s leg stumps, dreaming they are breasts. Rock should know better. For comedy’s sake. For his career’s sake. For our sakes. Sandler’s real-life wife Jackie plays a relative, and his real-life son Jared (looking like a young Jake Gyllenhaal) plays another relative, but I don’t really care who by this stage. I found the Good amongst the Bad. 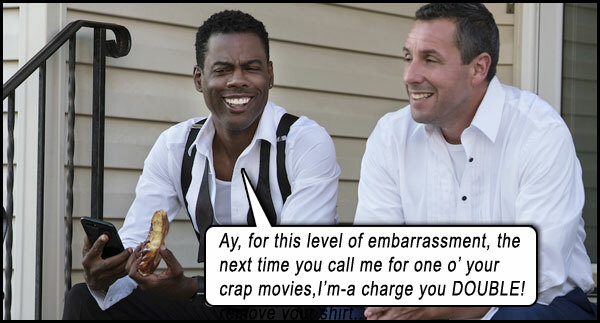 Y’know, I give Sandler a lot of rope; I’ve stood up for him in many movies that have been panned – JUST GO WITH IT, THE COBBLER, THE RIDICULOUS 6 – but this movie is a retrograde step back to the days when he would splash any old crap on film and expect audiences to pay for it, let alone laugh at it. Chris Rock’s character is eternally bemused and taken aback at the cheapness of Sandler’s Kenny, and how everything seems to be going wrong with the wedding arrangements – and it seems like Rock isn’t even acting. Still… I always look for that one moment of heart in every Sandler movie, because there always seems to be one (maybe that’s why I’m still affording him all that rope): By wedding’s end – after innumerable mishaps that we’ve seen in every wedding farce since Noah married Naamah – Kenny realizes it’s not about him, and he tells his daughter so. He confesses why he insisted on paying for the wedding even though Kirby kept offering to bail him out financially: “This is the last thing I’ll ever get to do for you.” Tears. So I found the heart. But DAMN if it didn’t take swimming through a whole lotta sewage to get to it! I also identified the one good running gag: Kenny continually mistaking two passing random black guys as family of the groom. And yep, I’m sure of it now. I AM in love with Langan Kingsley. Starring:Adam Sandler, Chris Rock, Steve Buscemi, Rachel Dratch, Allison Strong, Roland Buck III, Katie Hartman, Chloe Himmelman, Jake Lippmann, Jim Barone, June Gable, Suzanne Shepherd, Christian Capozzoli, Nasser Faris, Jared Sandler, Jackie Sandler, Langan Kingsley.